Sometimes you can have the problem of a new kitchen tap dripping after installation because the new valves in a Kitchen Tap can take a few days for the rubber washer to “bed down”. If after a few days your new kitchen tap is still dripping after installation, the sealing and/or the rubber washer may have been damaged by debris in the plumbing system. 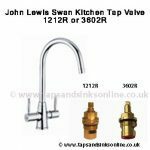 It might need to be checked by a plumber and he will advise you if you need to order a replacement valve for your kitchen tap (which should be free under your warranty) and flush the system for you. Also see our Kitchen Taps Troubleshooting Guide for dealing with the most common problems. 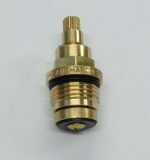 We have been supplying Kitchen Taps (San Marco Taps and Carron Phoenix Taps ) for 30 years. 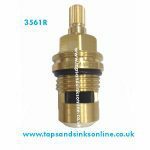 Feel free to contact us for some advice / help on any problem that you have with your kitchen tap. 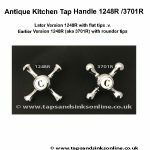 We are very aware that in the current climate many of our customers are trying to repair existing older kitchen taps outside warranty period that are leaking etc rather than purchase a new kitchen tap. Where you have an old kitchen tap that you wish to repair we will do our best to supply you with a replacement valve (be it from San Marco Taps, Carron Phoenix Kitchen Taps, Franke Kitchen Taps, Howdens, Rangemaster Kitchen Taps, Abode Kitchen Taps) so if you contact us with full details of your kitchen tap we will let you know if we stock the valve (and bush) that you require. 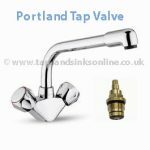 To date we have helped many customers repair existing kitchen taps at the small cost of a replacement valve!